Pal is Albin Johansson (Edda Magnason, Big Fox, Madmanas Moustache), Cristoffer Csanady and Adam Hjertström (Forest & Crispian). 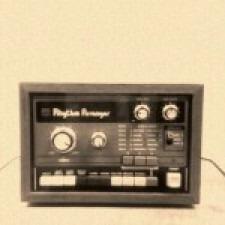 Music is minimalistic, suggestive indie-pop where vintage drum machines and synthezisers are mixed up with guitars, percussion and melodic vocal lines. Debut album "Weeks" was released in December last year and has received several good reviews. Who would you like to see live? Suggest a new event and make it happen together with your friends! © 2019 Emues. All rights reserved.